Caserta re-starts from the bioeconomy. If the Southern Italian city between the Eighteenth and Nineteenth centuries was known everywhere for the quality of its silk, today can aspire to become a center of gravity of the new sustainable bio-based economy. Here, GF Biochemicals launched last July the commercial-scale production of levulinic acid, using biomass as feedstock. The levulinic acid is a chemical building block that is used in various industrial sectors, from pharmaceuticals to cosmetics, from personal care to flavors and fragrances, from coating to fuel additives. In 2015 the company has produced 2 thousand tons and aims at producing 10 thousand tons in 2017 and up 50 thousand tons by 2019. A revolution, if we think that the company located in Caserta is certain to offer to the market in a few years the bio-based levulinic acid to a price of one dollar per kilo, versus the current 4-5 dollars per kilo for the corresponding product from oil, offering the same performance. 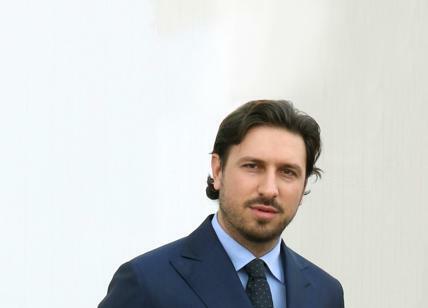 The protagonists of this bio-revolution, which is a key to economic development crucial for Italy and the Southern Italy in particular, are Pasquale Granata, young local entrepreneur, and Mathieu Flamini, the famous Arsenal player, former AC Milan, who unveiled a few days ago his involvement in the company in an interview with the Sun on Sunday. In this exclusive interview is Pasquale Granata to talk with us about GFBiochemicals and the bioeconomy, as a key to regional regeneration to create economic development and new jobs within a framework of eco-sustainability. GFBiochemicals got a great international visibility after the interview given by former AC Milan player, Mathieu Flamini, the Sun on Sunday when he announced to be one of the founders. What is the reason that led you to invest into an enterprise active in the bioeconomy? Could you tell us what is GFBiochemicals doing exactly? The bioeconomy is a sector with an enormous potential. The levulinic acid, being a product derived from biomass, can help to create a wide range of products with a higher sustainability. Precisely for this reason, with Mathieu Flamini we decided in 2008 to start this amazing project and invest to make GFBiochemicals the company it is today. 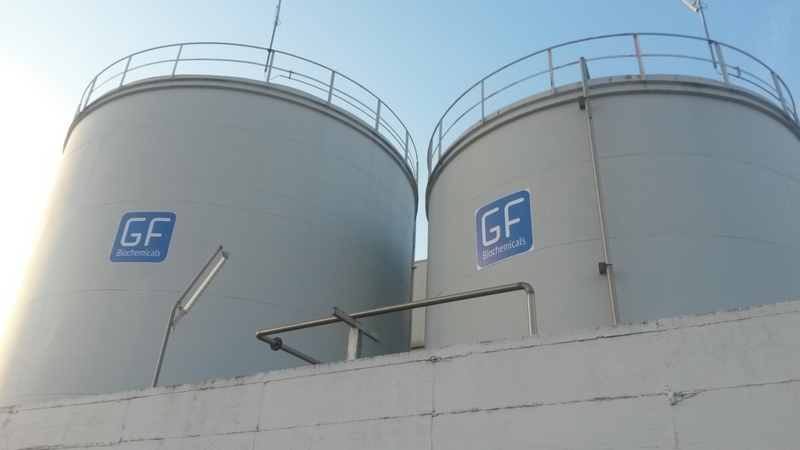 GFBiochemicals today produces levulinic acid in a commercial scale in Caserta; other private investors in 2013 have been added to our project. We all are committed to a long time together, because we share the vision and potential of this project. You produce levulinic acid from biomass rather than petroleum. Could you explain why the levulinic acid is so important, what it is the size of this market and what is your business plan for the next five years? The levulinic acid is a molecule derived from biomass, such as corn or industrial wood and its by-products starting from 2016. We have estimated a market with a potential of $ 30 billion. We have a technology that allows us to produce levulinic acid at a much lower price than our competitors. In this field we are leading. The public opinion might be skeptical: is it really possible to reconcile profitability and environmental sustainability? Profit and sustainability are closely related. In fact, environmental sustainability must also be convenient to succeed. GFBiochemicals makes these products more competitive, using renewable biomass and converting it to a single stage. The bioeconomy is an important key to territorial regeneration and economic development. Your plant is in Caserta, in a region – Campania – where the unemployment rate is around 22% according to ISTAT. Can the bioeconomy really be a key to industrial sustainable development for Southern Italy? What are – from your point of view – the system conditions necessary for this to happen? GFBiochemicals is a fantastic business that today can sustain itself on its own feet, without the need for government support. This is true sustainability. In general, the bioeconomy is an excellent tool for the development of the regions and Italy. The bioeconomy is good for farmers, creates jobs and helps the local economy. We can revitalize the agricultural regions, expanding the markets where farmers can sell their products. Italy is now the only major European countries without a national strategy – and the regional strategies – for the bioeconomy, while it is boasting some of the most important players in the industrial sector and a system of public and private research at the highest level. Some of these are located in the Campania Region. How important is – from your point of view – to work within a strategy of industrial and economic development? I can only say how important the bioeconomy is for the reintegration into work and the provision of additional income to farmers, so they can stay on their land. 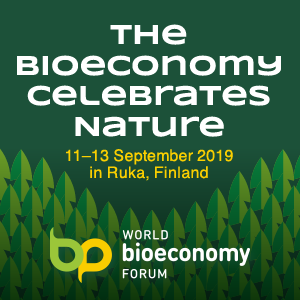 Several investigations promoted by the European Commission have revealed that the bioeconomy is a concept difficult to understand by the public opinion, perceived as a new niche invented by companies to expand their profit margins. How is possible for the bioeconomy to go from being a niche to the norm? The bioeconomy is a new exciting field. Yes, it is young. That’s why there is so much potential for growth. Consumers are demanding more environmentally friendly products. If the bioeconomy is well developed, then it allows you to introduce eco-friendly products that offer better performance compared to those derived from petroleum. As far as I’m concerned, it is not a niche. The COP 21 has just ended in Paris. What is the contribution of GFBiochemicals in the fight against climate change? 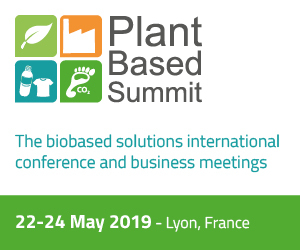 The chemicals developed by the platform of GFBiochemicals can help decarbonise fuels and other products, such as plastics and coatings. Our technology for levulinic acid directly from biomass offers a solution to the greenhouse effect, which is accelerating the climate change. GFBiochemicals and levulinic acid can help various industries to facilitate the transition to a low carbon economy that we all desire. At Serigas we have developed a technology to process complex organic waste waters. 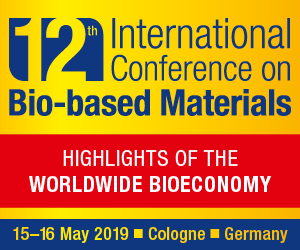 We developed this to recover clean water from digestate, but discovered there are many applications especially in biobased maufacturing processes.